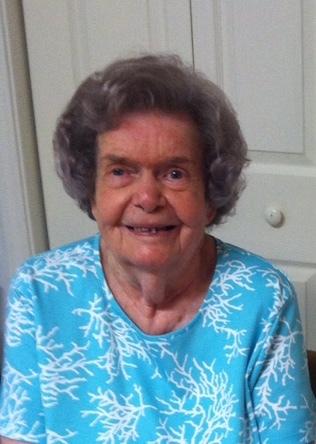 Mary Haynes Simmons, 94, of Wake Forest, formerly of Fair Bluff died Tuesday January 16, 2018 in the Universal Healthcare/North Raleigh Center in Raleigh. Funeral services will be held 2pm Saturday January 20, 2018 at Meares Funeral Home in Fair Bluff. Burial will follow in the Haynes Cemetery, Cerro Gordo. The family will receive friends one hour prior to the service. Mary was born on July 3, 1923 at home in Cerro Gordo to the late Agnes Lovette and Frank Haynes. She graduated from Fair Bluff High School Class of 1941, and attended Beauty College in Charlotte. She moved to Raleigh met and married Cecil L. Simmons. She owned and operated S&S Beauty Shop with her partner Sarah Strickland for 48 years in Raleigh. She was a member of Temple Baptist Church in Raleigh. She and Cecil enjoyed going to the VFW in Garner. After the flood in Fair Bluff, she moved to Wake Forest to live with her brother Larry and sister in law Donna. In addition to her brother she is survived by her foster brother Guy F. Haynes (Emma Jean) Haynes of Wilmington, 6 nieces, 6 nephews, 23 great nieces and nephews, and 9 great great nieces and nephews. Meares Funeral Home of Fair Bluff in charge of arrangements.